It’s been a while since Overwatch got a new map – the Korean-set Busan, which hit test servers back in August of 2018, was the last one. Well, surprise! Blizzard has just unleashed a new map, Paris, on PTR servers! 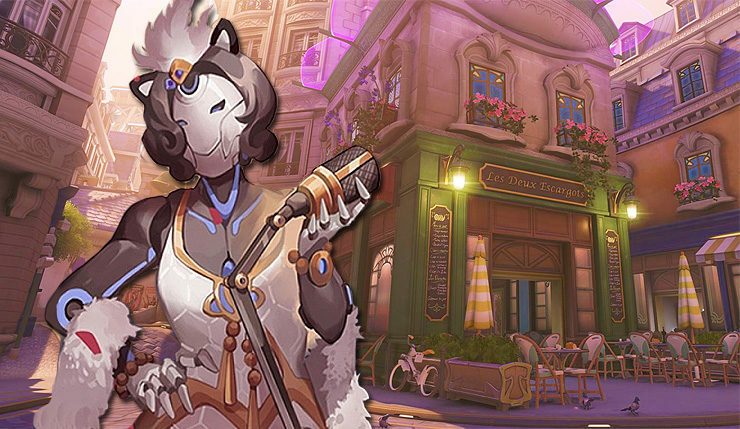 Paris is an Assault map, and, as you would expect, it requires players to navigate narrow Parisian streets and includes a few interesting landmarks, like a cabaret, a pâtisserie, and a luxurious palace. Oddly, Blizzard hasn’t released a trailer for the map, but plenty of gameplay still found its way onto YouTube. You can check out a walkthrough of the map courtesy of YouTuber Master Ian Gamer, below. An elegant city of art and romance, is the home of our newest Assault map. Begin your journey at the Cabaret Luna, where the velvety alto voice of preeminent diva Luna charms movie stars, revolutionaries, locals, and tourists alike. After the encore, step outside to see the sights and seize victory. Artisanal shops line the streets as you approach the first point, so duck in to sample a macaron or escape enemy fire. Battle through alleys and corridors before clashing with your foes on the banks of the Seine. Once you establish dominance, make your way to Maison Marat and deliver the coup-de-grâce. No word on when Paris will hit live servers, but it usually takes around two or three weeks for content to make the move from PTR to the general public. So, expect the map to go wide sometime in late February. The Paris map is part of a larger update that squashes a few bugs and rebalances a variety of Heroes – get the full patch notes here.